Everything is going great for Suze. Her new life in California is a whirlwind of parties and excellent hair days. Tad Beaumont, the hottest boy in town, has even asked Suze out on her very first date. Suze is so excited that she's willing to ignore her misgivings about Tad... particularly the fact that he's not Jesse, whose ghostly status-not to mention apparent disinterest in her-make him unattainable. What Suze can't ignore, however, is the ghost of a murdered woman whose death seems directly connected to dark secrets hidden in none other than Tad Beaumont's past. 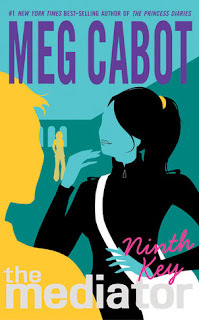 Meg Cabot and The Mediator series have done it again! I am completely smitten with this series and i have to read all of these. Again, i read this one in only a day (well a few hours) and all in one sitting. You just can't put these down. I don't know how Meg Cabot does it, but she just draws you in with these like a trap and then locks the door so you can't get out till you finish. Very sneaky, Meg! I must say, though, that this one deals more with living people than the first one. I don't want to read about alive people, though, i want to read about the dead lol. The story line was very interesting and i did get to know Suze's friends and family a little better, and fell more in love with Doc and Jesse. From the get-go i didn't like Tad or his family so i wish Suze was smarter and just stayed away, but then we wouldn't have a story now would we? I did like the turn of events and the overall happenings. I really can't wait to see how things with Jesse will turn out, because i really really love his character. I really love that his and Suze's relationship is on a very slow, steady, normal pace, because usually a character meets, likes, falls in love, and basically marries a character all in one book but already were in book two and not much has changed except some feelings starting to blossom =D I don't want to say too much and give away anything, so i will keep this short. I love this series! Just like Shadowland i couldn't put Ninth Key down. I had to read it all and in one sitting, again. This series is very, very good and easy to get obsessed with lol so watch out! I cannot wait to get the rest of the novels from this series and read them all in one sitting as well. I also can't wait to see how things with Jesse will pan out, i really like the slow pace their relationship is going on. YAY!!! I'm so glad your reading this series!! :) I loved it, and I hope you continue to enjoy it was well! 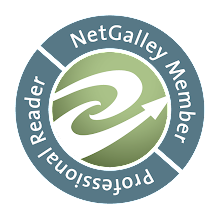 Love the reviews! And yes, the non-instant love was very refreshing! Im sure i will continue to love it, because so far it is very very good! I will try to find you and follow back.